You may have noticed from a few of the posts on here that I love my toaster. I toast bagel, buns, tea cakes, crumpets, hot cross buns and sometime even bread! It follows then that I love jam too! 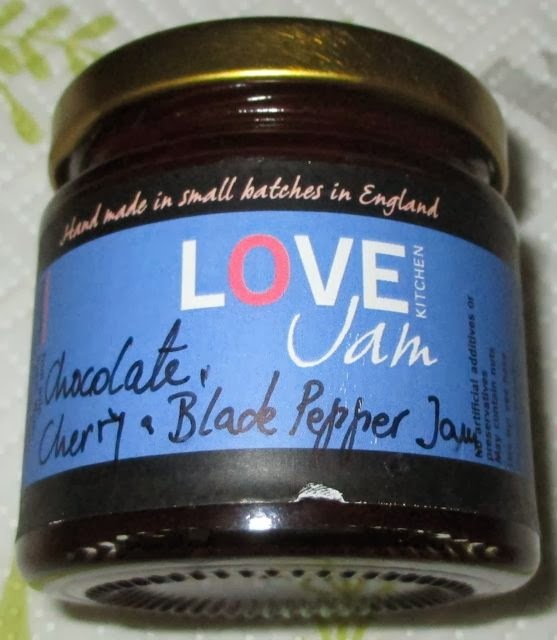 A while back I reviewed a hamper with some chocolate and raspberry jam from a company called Love Jam, and to say it was a proper Foodstuff Find was a bit of an understatement, it was amazing stuff! 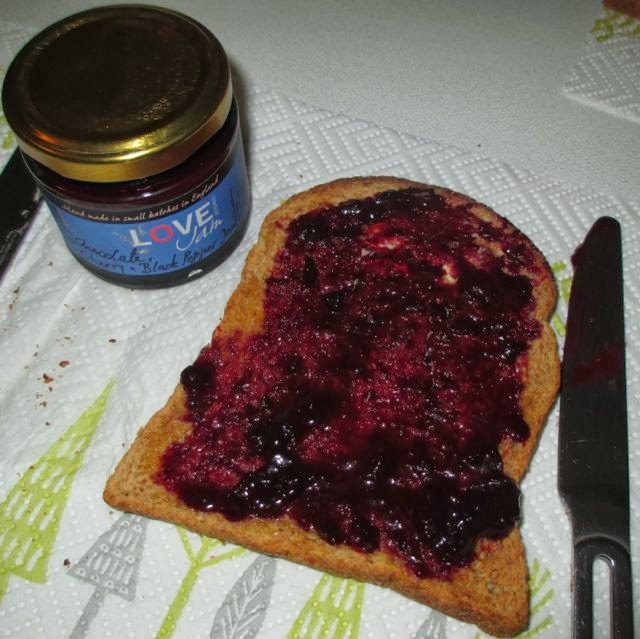 When Love Jam got in touch and asked if I fancied trying any of their other flavours there really was no saying no! They sent some lovely sample jars, but it was the chocolaty ones that caught my eye, no surprises there. I couldn’t resist cracking open the Chocolate Cherry & Black Pepper as it sounded so interesting and different. Once the toast had popped, I opened up the jar and found the dark red jam inside. It is a little more fluid than some, but it spreads easily and covered the toast nicely. The flavour was magical, there was lovely dark rich chocolate tones, and a sweet sharp cherry taste, followed by a tingly warmth from the pepper. It was like having Black Forest Gateaux on toast. Clever just doesn’t come close to explaining it. The tastes are well balanced and the jam was a pleasure to eat. I’ve eaten a lot of chocolate spreads and jams but never one that is both fruity and chocolaty, this really is something new. It is such a feel good food, zingy yet soothing. I’m going to be really sad when this jar ends, and I’ll scrape every scrap out when it comes to it, but it’ll give me an excuse to open another and for that I seriously can’t wait. Do try some of their marmalades, esp the award-winning Pink Grapefruit!